US prosecutors are readying criminal charges against British oil giant BP employees over the 2010 Deepwater Horizon accident that led to the catastrophic Gulf oil spill, The Wall Street Journal reported online. The charges if brought and prosecuted by the US Justice Department would be the first criminal charges over the disaster. Citing sources close to the matter, the Journal said the prosecutors are focusing on US-based BP engineers and at least one supervisor who they say may have provided false information to regulators on the risks of deep water drilling in the Gulf. Felony charges for providing false information in federal documents may be made public early next year, said the Journal. A conviction on that charge would carry a fine and up to five years in prison, the newspaper said. The Bureau of Safety and Environmental Enforcement (BSEE) has already issued a second list of violations regarding BP's operation of the Macondo well that blew out in April 2010, causing the worst maritime environmental disaster in history. 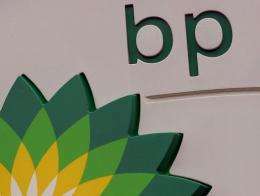 The US drilling safety agency has said it determined BP had failed to conduct an accurate pressure integrity test in one area of the well. An explosion at the Deepwater Horizon rig on April 20, 2010, killed 11 people, and the well gushed oil into the ocean for 87 days, blackening the southern US shoreline and crippling the local tourism and fishing sectors. By the time the well was capped, 4.9 million barrels (206 million gallons) of oil had spilled out of the runaway well 5,000 feet (1,500 meters) below the surface of the Gulf of Mexico. In October the US government slapped BP, Transocean -- the Swiss owner and operator of the drilling rig -- and US oil services group Halliburton with citations for violating oil industry regulations in what is expected to lead to massive fines. In October, it recovered $4.0 billion in costs associated with the spill from US group Anadarko Petroleum Company, which agreed to transfer its 25 percent stake in the well to BP. Sigh! This is not big oil being picked on, this is picking on low level individuals, while letting the "fat cats" off. It might be reasonable if the government was going after people who engaged in fraud, but playing Monday morning quarterback by saying that the data underestimated the risk of blowout. The problem (for the government) is that the engineers and oil rig workers who got it very wrong were killed in the original explosion, and are thus beyond the reach of government investigators. Were there some engineers who did shoddy work and still survived? Pull their petroleum engineering licenses. Well submit the data to the appropriate licensing authorities. Supervisors who belived what their engineering staff told them? No mens rea, no criminal conduct. As for the disaster, it was caused by a badly designed BoP. Go after the company who made it if you think there was fraud. They were operating under instructions from higher up. THOSE people survived. Watch the 60 minutes interview. They were given an unrealistic and dangerous timetable. The people responsible for that timetable should be dealt with accordingly. This wasn't just an example of the people at the scene not following regulations. This was the realization of Murphy's Law ad infinitum and the people (executives) responsible for the dangerous pace they proceeded at should be held responsible. Once again, view the 60 Minutes piece on the issue. If you want to be environmentally safe, then you should start using hemp oil. It's non-toxic. What else is new on this forsaken mudball. The law is a specially designed net to catch small fries while letting the big fishes through. I hope those big fishes will spend their ill-gotten millions to fix their children born with half a head, defective heart and no arse hole, considering how selfish, callous and stingy they are. BP is not British. It is a multinational about 50% US owned. We have to use oil right now for energy, and one should expect an industrial disaster now and again if drilling for oil way off shore and miles down. It's in the best interest of the oil companies not to have these disasters and they invest money into preventing it and cleaning it up, but there is no magic fix to "prevent it from ever happening again". Such off shore oil rig related accidents are no more frequent and deadly than other industrial accidents (only about 70 people died in the past decade, which is small compared to other industries). It's fashionable to dislike big oil, but you continue to use energy and drive your car when its convenient for you, and you're likely the amongst the first to whine about on-shore drilling. Oh brother. All CEO's in every industry that has industrial accidents, make more than the lower workers. Why? Because knowledge is power. Knowledge is a commodity, and has value. Wrt "who to blame", you investigate who made the calls that went against risk management, and safety procedures, or lied. The top level guys are unlikely to be micro-managing each rig. You also must realize that governmental inspectors didn't find many problems with the rig in question,.. in fact it received praise. So, if you're going to investigate anyone, the federal inspectors should be on that list as well. This just shows that it's a risky process when involving imperfect humans. There is risk in maintaining our way of life.